Whether it’s open-toe season or not, we all still like for our feet to look and feel our best. I definitely like for my feet to be soft all year long. 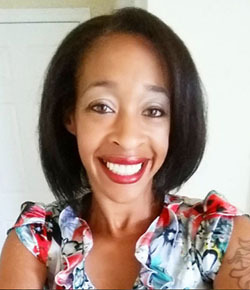 I want to share a few tips with you about how to create the perfect at home pedicure so your feet can feel as great as mine. It only takes a few supplies and a quiet relaxing area for you to actually enjoy your at home pedicure. 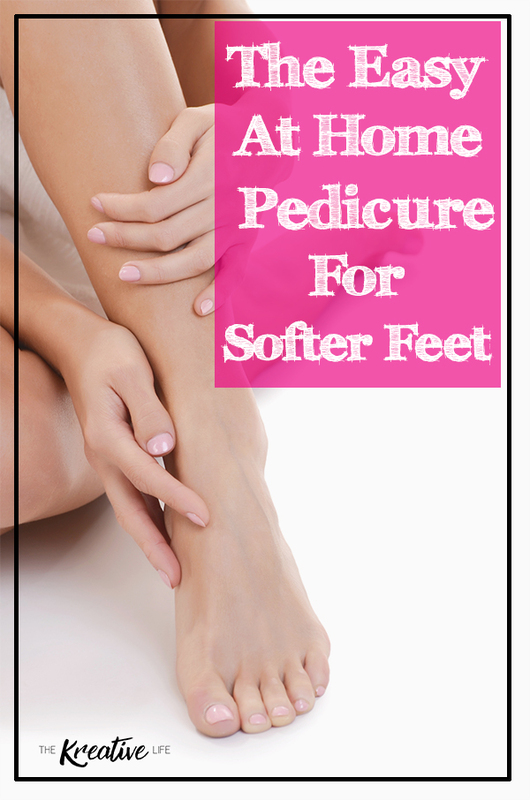 You can even have a ladies’ night and you and your friends can do this easy at home pedicure for softer feet. Enjoy! One of the most important parts of maintaining beautiful feet is to keep them hydrated. Hydrated feet reduce the appearance of dry cracked skin and may eliminate some of the pain associated with cracked skin. To hydrate your feet, fill your basin with warm water and add 2 Tbsp. epsom salt . Soak your feet for 3-5 minutes. Next, remove your feet from the water and apply a moisturizing food scrub while your feet are still damp. Use my recipe for Sugar & Almond Oil Foot Scrub at the bottom of this post for great results. Apply the foot scrub to your feet in a circular motion making sure you apply a little more pressure in areas of your feet where skin is the driest, such as the heels and balls of your feet. Remove the foot scrub by dipping your feet in the water and gently rubbing. Pat your feet dry with a warm damp washcloth. Split or jagged toe nails are always unsightly. A perfectly pedicured foot will have toe nails with a straight or oval shape to give it a softer more feminine look. Adding color to your feet shows your kreative side and sometimes allows your personality to stand out. Using a straight-edge nail clipper trim your nails with 3 cuts, one on the left, the top, and the right. Use your emery board to smooth your edges. To prepare your feet for polish you must remove the oil from your toe nails so the paint can adhere properly. Remove the oil by applying nail polish remover to a cotton ball and with one or two strokes wipe off the oil. Next apply a base coat, two coats of nail polish, and a top coat. Allow nails to dry 15-20 minutes before slipping on your shoes. Mix sugar and oils together. Mix ingredients well. Apply mixture to feet rubbing in a circular motion. Let mixture sit for 5-7 minutes. Remove foot oil by rinsing in warm water. Immediately put on cotton socks for comfort. If you like this at home pedicure tutorial, then you may like the margarita sugar scrub to complete your at home spa day. Great info I will share with my wife and daughters.